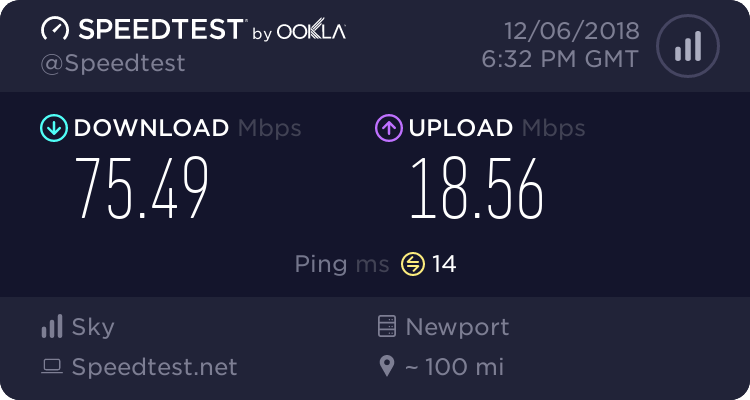 A couple of weeks ago my router was saying I had a downstream connection to sky of over 14000 kbps which meant I was able to download sometimes at 1.3Mb/s. My computer messed up so I had it all upgraded. I'm now able to use the internet again after a couple of weeks without it but I've noticed a speed decrease. My router is saying I'm only connected at 8000kbps now. Any suggestions on what may have changed? did you report a problem is sky as they may have capped you? you need to post your full router stats to tell.